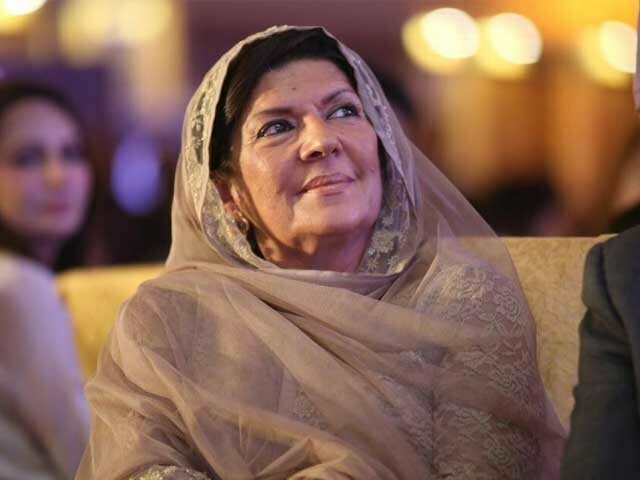 The Supreme Court on Friday asked the Federal Board of Revenue (FBR) to provide the court with tax details of Aleema Khanum, Prime Minister Imran Khan’s sister. The court has taken up a case against 44 politically exposed individuals or their benamidars who possessed properties in the United Arab Emirates. Khanum is identified as benamidar of a property. A notice was issued to her through email as well as delivered at her home address, but her domestic staff said she was abroad. According to an FBR official who appeared in court today, Khanum had benefited from a tax amnesty scheme and thus her tax information is confidential. “You can provide the information to the court in a sealed envelope and we will take a look at it,” Chief Justice of Pakistan Mian Saqib Nisar responded. The chief justice also said that the court had pinpointed 20 people to be investigated. The FBR official told the court that the board is conducting an investigation into these 20 people. “Six of these people have been cleared on the basis of the sworn statement to the FBR and the Federal investigation Agency (FIA),” the official said while adding that the statement the other 14 gave to the FIA do not match the FBR’s records. Dissatisfied by the speed of the process the judges said that if the FBR continues at the current pace, the completion of this investigation will take a long time. “How long will you take to complete the investigation,” the chief justice asked. “Sir the process will be completed by the end of December,” the FBR official responded. The CJP, however, directed that Khanum’s tax record be brought to court today, adjourning the hearing till later in the day. This list of politically exposed people was part of an annexure submitted to a three-judge SC bench comprising Justices Nisar, Faisal Arab and Justice Ijazul Ahsan. “Such money creates gross disproportion, inequality and disparity in society, which warps economic activity and growth, and constitutes plunder and theft of national wealth,” it said. The PPP and PML-n claim that payment of fine by Prime Minister Imran Khan’s sister for the properties she owns in Dubai is, in fact, a case of confession of holding illegal assets as she hasn’t mentioned them in her tax record. “The nation wants to know the money trail of her foreign properties,” Nawaz Sharif had said during an interaction with reporters after attending court proceedings in the Flagship Investment reference on Tuesday. The former prime minister said that Khanum, a member of the board of governors of Shaukat Khanum Memorial Cancer Hospital, was not doing any business. “Apparently, there was no source of income. It must be thoroughly investigated how she accumulated wealth to acquire properties in Dubai, whether it was her own money or someone used her to purchase benami properties,” he said. She regularised the Dubai properties by paying a ‘nominal fine’, Nawaz said. “Wasn’t that an NRO?” he asked, referring to the controversial National Reconciliation Ordinance that former military ruler Pervez Musharraf had promulgated to settle pending cases. “As Khanum has agreed to pay the FBR 25 per cent tax as much fine for her Dubai properties, it means she has admitted the illegality in holding the assets,” PPP deputy information secretary had said in a statement. The PPP leader said Khanum would have to satisfy the people and courts if she was ever summoned by the judiciary. He said Khanum could be tried under money laundering laws if she failed to provide the bank transactions record.